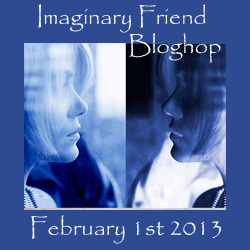 The wonderful and awesome Annalisa Crawford over at http://annalisacrawford.blogspot.com/ and Kyra Lennon, over at http://kyralennon.blogspot.com/ are hosting the Imaginary Friend Bloghop on the 1st of February 2013. 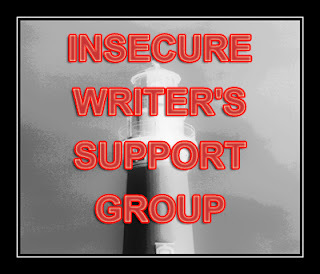 So, all you have to do is write a post or a story about your imaginary friend on that day and if you didn't have one, like me, write about how you rather wished you had one, especially when you did something really bad and you wanted to blame someone else. There are also great prizes up for grabs and all you have to do to win one of them is to follow both Annalisa and Kyra's blog and of course, post your entry on 1 February. It is really that easy and if you want to sign up or find out a bit more about the Bloghop and the prizes up for grabs, then don't hesitate to stop by Annalisa or Kyra's blog, as mentioned and linked above. The year is starting full swing and there is already an improvement in the employment front, as I have been asked to go back to work at my old job, at the cellar, as a data capturer/harvest help. It is just for a few months, while the harvest takes place, but at least I will be getting an income again. Yay! I will be starting on Monday. For now I am working on a new story that is something completely different. It is an end of the world type of book, but I am not sure how everything is going to work out yet, as I am still working out the kinks. Author and blogger Jeremy Bates has a new book out called The Taste of Fear, which is just awesome. If you guys want to check it out. You can also visit him here or purchase his book here. American movie star Scarlett Cox and her husband, hotel tycoon Salvador Brazza, head to Africa to get away and resuscitate their ailing marriage. When robbed of their money and passports, they seek help from the U.S. Embassy in Dar es Salaam—on the very day Al Qaeda chooses to bomb it. In an eyeblink they’re taken hostage and whisked across the border deep into the Congo,one of the last truly wild places left on earth. If any of you would like me to feature your book or blogfest on my blog, you can contact me at mureesdup(at)yahoo(dot)com. I would love to help.